David Farkas of Deerfield says he likes to get buzzed occasionally. 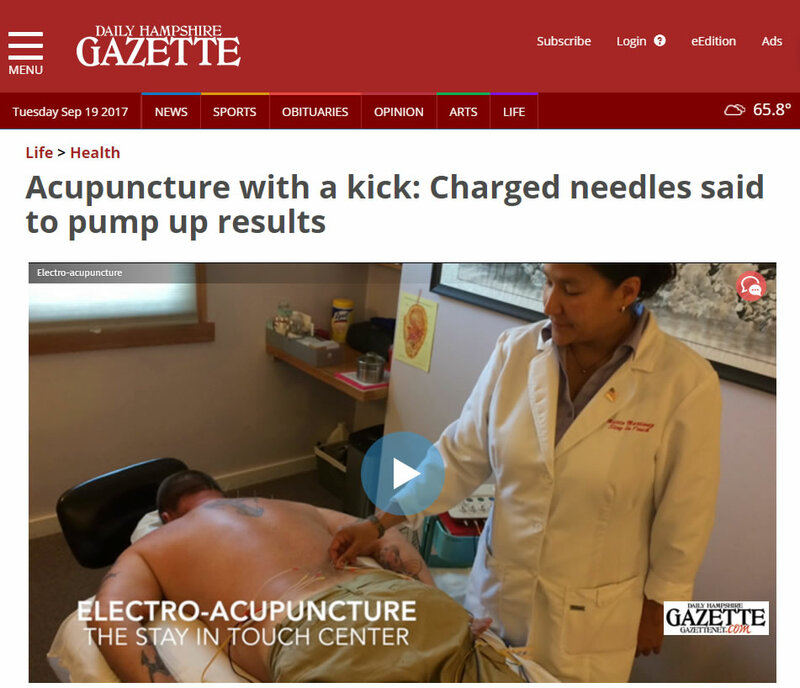 This buzz he is talking about is a literal electric current, passed between two acupuncture needles sticking in the side of his leg. On a recent Monday afternoon he is lying face-up on a table. . .